Dream. Dress. Play. : Make It Monday! 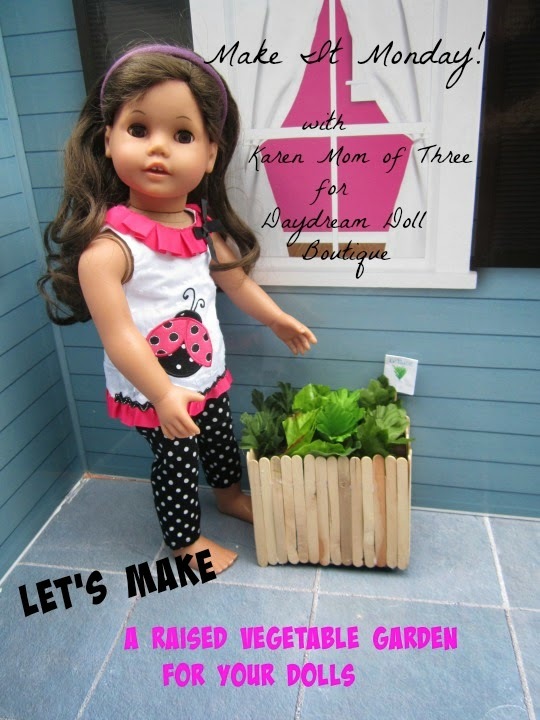 Let's Make A Raised Vegetable Garden For Your Dolls! Make It Monday! Let's Make A Raised Vegetable Garden For Your Dolls! 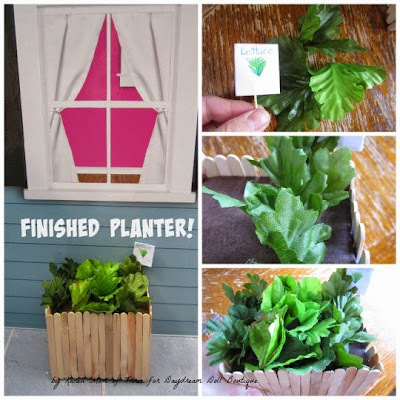 Karen here and now is the perfect time to start planting and growing your own food. Urban gardens are becoming very popular where I live and people are building their own raised garden beds to grow their own vegetables and fruit. 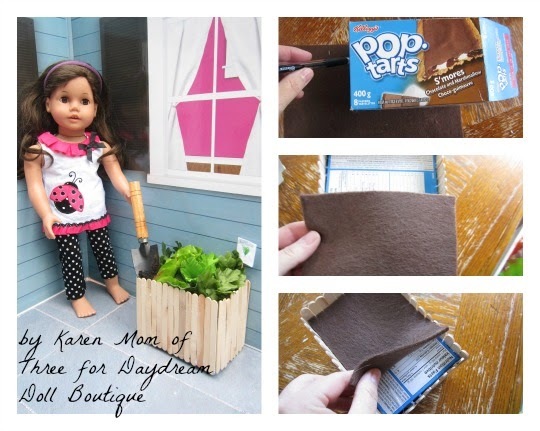 I thought it would be fun to make a raised vegetable garden for your dolls using items you may already have at home in your own craft boxes. Step 1- Gather all your supplies and plug in your glue gun. 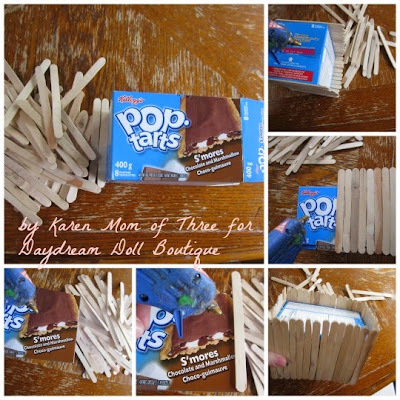 Step 2- Make sure the end of your pop tart box is sealed shut, you can use glue for this. Step 3- Start at one end of your box and add a line of glue, then press in to place a Popsicle stick. Step 4- Continue all the way around your box. Step 5- Trace the outside of your pop tart box ( I used a second box) with a pen and cut out your "dirt" for the planter. Step 6- Lay it in place inside your planter box. Step 7- Use a small piece of paper to make a garden marker. My sign says Lettuce and I drew a small lettuce plant. Glue the paper to the tooth pick and then glue the tooth pick to the inside of the planter where ever you wish. Step 8- Start removing the leaves from your artificial flowers and then bunch them together using a bit of glue as you go and then glue them to the felt in your planter box. You can use all the same leaves or you can use a verity which I had on hand in my craft box. Fill the planter as much or as little as you like.